Intacct vs Netsuite: Why Not Go with the Leader? You are here: Home / Cloud ERP / Intacct vs Netsuite: Why Not Go with the Leader? When considering changes in your business operation, isn’t input from your peers a great support? Do you solicit the opinions of your friends, your mentors, associates you’ve met at conferences? Would you trust the opinions of hundreds of peers in your field when looking into a new financial management system? Then you would be pleased to know the independent G2 Crowd again has rated Intacct as the top accounting/financial management software in its most recent survey. 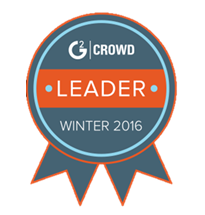 G2 Crowd is the world’s leading business software review platform, providing nearly 100,000 product reviews that educate some 600,000 potential buyers who read the reviews each month. G2 Crowd also intuitively packages insights from expert peers, everyday users, and aggregate data to score competitive products on The Grid. It’s on The Grid where Intacct really shines, scoring 97 points in customer satisfaction, making it the highest ranked accounting software and the only mid-market accounting program ranked as a Leader. Intacct far outpaces other mid-market packages, including FinancialForce (65), Sage 100 ERP (48), NetSuite (45), and Microsoft Dynamics GP (14). 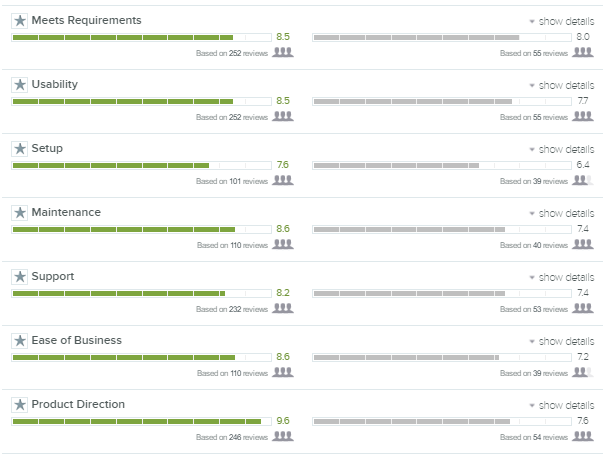 These ratings were based on 279 reviews for Intacct and 63 reviews for NetSuite, which also indicates a stronger base for Intacct. Further, a comparison to reviews as of January 2016 shows NetSuite’s numbers have gone down with additional reviews while Intacct’s have gone up slightly or remained steady. Your peers have spoken. Why not go with the only Leader in accounting and financial management software and choose Intacct to improve your company’s financial management system? Contact us for a reliable partner who can help you convince your stakeholders of the need for a more robust system, then provide support and training as you launch you new financial management system.